Paul Davis On Crime: Menefreghismo: Just How Good a Singer Was Dean Martin? Menefreghismo: Just How Good a Singer Was Dean Martin? 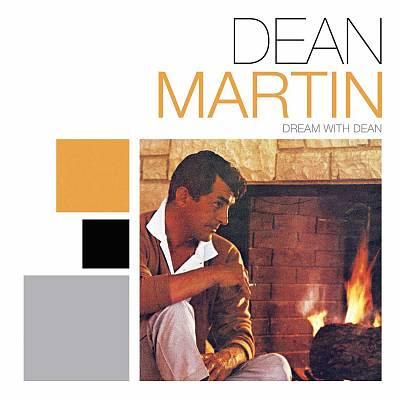 I'm a huge fan of Dean Martin. Old Dino was a great singer, comedian and actor, but he was so casual about it all, he was often underestimated. I recall Martin's daughter, an aspiring singer, telling a story about how family friend Frank Sinatra was coaching her on a vocal technique. She asked Sinatra if her father did this. "He doesn't know what he's doing," Sinatra replied. "He just does it." Ted Gioia at the Daily Beast offers a piece on Dean Martin's casual and confident style, which he called menefreghismo. We celebrated Frank Sinatra’s centenary a few months back, and the amount of media coverage was stunning. I can’t recall another musician generating so much acclaim after 100 years. Sinatra received veneration in full-scale tributes from HBO, PBS, CBS, TCM, and other three-initial media powerhouses, along with a stack of books, articles, album reissues, and tribute concerts. Next year will be the 100th anniversary of Dean Martin’s birth, and I am curious to see how Sinatra’s old colleague and fellow Rat Packer fares. Will he get the red carpet treatment, and find a place on the radar screens of new fans? Or will his centenary celebrations be limited to old-timers who remember Martin from decades long gone? ... He could act, sing, dance, emcee, play the straight man to Jerry Lewis, or tell his own jokes. He could improvise routines with the Rat Pack in front of a casino audience, or host a TV variety show. He could play a credible cowboy or a super spy in a Hollywood movie, but he was just as happy acting like a drunk on stage or performing one of his ethnic novelty songs that mixed Italian phrases and American slang. And judging by infomercials I’ve seen lately, he might be best known to today’s audiences for hosting a celebrity roast show on NBC. In other words, Martin was that greatest of rarities: a top tier star who didn’t mind playing second fiddle. He probably even preferred it. Martin fed off the vibe in the room and the other folks on stage—it didn’t matter who, Frank Sinatra or Jerry Lewis or Ella Fitzgerald or Louis Armstrong, it was all the same to Dino. But any comparison with Sinatra will eventually lead to the tricky question: how good of a singer was Dean Martin? This is a surprisingly difficult subject to address, if only because Martin had such a cavalier attitude to his own vocal skills. Mr. Davis, we are greatly grateful for your response to Mr. Gioia's perspective on the life, and times, and teachings of our Dino. We believes that your absolutely nailed the problem with Gioia's Dino-perspective when your wrote: "Old Dino was a great singer, comedian and actor, but he was so casual about it all, he was often underestimated." Know that your remarkable response is being shared this day at ilovedinomartin. Thanks for your deepest of deep devotion to our most beloved Dino and for helping draw your readership into a deeper understanding, deeper appreciation, and deeper devotion to our one and only Dino! Great. I love Dean Martin. I wish i had met him, but I have his music, TV shows and movies.